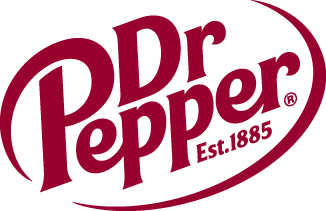 Four 2016 Dr Pepper Dallas Cup Champions Crowned | Dallas Cup, Inc.
Four new champions were crowned today at the Dr Pepper Dallas Cup, the oldest and most prestigious international youth soccer tournament in the United States. With sunny skies and pristine conditions, youth soccer talent was on full display in the U-13, U-14, U-15, and U-16 championship matches at Toyota Stadium in Frisco, Texas. In the first match of the day, local side Solar Chelsea 03B and Mexico’s Tigres squared off to determine the Under 13 champion. The winners of Group A and Group B, respectively, kicked off at 9:00am and the match got off to a quick start. In the 9th minute, Solar Chelsea’s Nicolas Nee received the ball on his right foot from the edge of the box and blasted his shot into the right corner of the net. Tigres leveled the match just after the half when Abraham Rodrigues sent a long free-kick towards goal and the ball sailed over the keeper’s head and into the back of the net. The game would remain tied through the end of regulation and overtime, so the match went to penalty kicks. Solar Chelsea’s keeper, Jackson Leavitt, made a several great saves to provide Solar Chelsea their first “Boot and Ball” trophy since 2012. The U-14 Final followed, as FC Dallas Youth 02B Central and FC Los Angeles B01 Black went head to head with the “Boot and Ball” trophy on the line. The match was scoreless until late in the second half. With just 8 minutes remaining, FC Los Angeles’ Victor Cano broke through the defense to put a strong shot on goal. The FC Dallas keeper was able to stop the shot, but not collect the rebound, which Cano pounded home from the six-yard box. FC Dallas continued to apply pressure in the FC Los Angeles half, but they were unable to level the score. This U.S. battle ended with FC Los Angeles taking home the 1-0 victory and the Under 14 championship trophy. The final match of the day took place between CF Monterrey and Andromeda FC 00B Red to settle the Under 16 Championship. Each side had their chances, but the match remained 0-0 into the second half. In the 47th minute, Monterrey’s Neder Medin struck first. He carved his way through three Andromeda defenders and blasted the ball past the keeper. After a hard tackle in the box in the 66th minute, Monerrey’s Alexis Avendaño stepped up to the penalty spot and made the game 2-0. Eduardo Banda scored one more goal in the 80th minute for Monterrey when Andromeda’s keeper was caught off his line and Banda chipped the ball in the net from outside the box. The match ended 3-0 in favor of CF Monterrey, as they added to their record Dallas Cup championships. Dr Pepper Dallas Cup’s “Championship Weekend” will conclude tomorrow with the crowning of the U17, Super 17’s, U19, and Gordon Jago Super Group Champions. Sunday's championship matches will start at 10:00 in the morning when the U-17 Final will kick off with a matchup between New York SC B98 and Solar Chelsea 99B Red. Tigres and FC Golden State U-16 USSDA will vie for the Super 17's “Boot and Ball” trophy at 12:30pm. The U-19 Championship will be decided between California Rush 97/98 and FC Golden State White at 3:00pm. Dr Pepper Dallas Cup XXXVII will conclude with the Gordon Jago Super Group Final between Fulham FC and Everton FC. Everton advanced to their first Gordon Jago Super Group final in their third attempt, having previously fallen short in the 2012 and 2015 semi-final round. Coming off an impressive win over FC Dallas on Friday in the semi-finals, Delial Brewster and the rest of the Everton squad will look to bring down another storied English club, Fulham FC. Fulham returns to Dr Pepper Dallas Cup for the third time in the last four years. Fulham won the 2013 Gordon Jago Super Group championship trophy, and they last appeared in 2014. In this year’s tournament Fulham has earned impressive wins over the U.S. U-20 Men’s National Team and current U20 Brazilian champion, Fluminense FC. Fulham’s Stephen Humphrys looks to continue his hot streak as he has scored in every match so far in the 2016 Dr Pepper Dallas Cup. The much anticipated matchup between Everton and Fulham will take place at 6pm on Sunday, March 27. The Gordon Jago Super Group Final will be broadcasted on Time Warner SportsChannel and live streamed on twcsportschannel.com. It will also be broadcasted on Univision Radio 1270 AM. Fans outside of the United States will be able to watch a live stream of the game at www.DallasCup.com. Tickets for the games can be purchased at www.dallascup.com.